Here in Ohio, we have 5 big minutes until we pull the party poppers and beat pots and pans on the front porch. The IHAN Clan wishes each and every one of you a healthy and fun New Year!!! 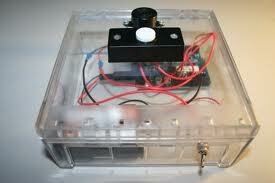 Yes, I can see the diagram above.....but I can't seem to find my own personal reset button. I'm looking for it and when I find it...I'm going to push that button and pop back on...in the meanwhile....just know I'm here and searching. What ever it is that you celebrate....and whom ever you celebrate with....my wishes are that you are healthy, grateful and kind to everyone including yourself. Sorry I've been out of touch...with having Mr. McSteamy down for most of the month of December, I've been running like a chicken with my head cut off....and I'm not finished yet....11:49 my time...yikes. Our good news is that the surgeon said he didn't think McSteamy would need surgery on his back....oh we are so grateful! Yes....there are winners to be announced. My Increase Your E-Notion IQ blog post on Seamingly Accurate Seam Guide did say I would be giving away TWO didn't it? Number 26 and number 15. 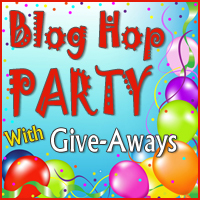 AND then there was a really fun Blog Hop Party hosted by Quilting Gallery. IHAN is giving away this Happy Holidays Panel, Wintersong by Cheryl Haynes of Prarie Grove Peddler for Benartex, and the embellishment kit that goes along with the panel. So Becky, please e-mail me your full name and address and I'll get your beautiful Happy Holidays Panel with embellishments into the mail. I thought I'd let everyone know I have two of each of these IHAN Holiday Specials left in stock. Only TWO so if you want one or both....ya better order quick because when they are gone...they will be removed from the IHAN website. A Christmas Embroidery Thread and CD Design Set by Floriani. 10 spools of Floriani Premium Polyester and 5 spools of Floriani Premium Metalic Threads, Florani Christmas Embroidery Design CD and "Stabilizing Solutions" DVD by Kay Brooks. There are only 2 Sets Available so order Now! This is the Greetings! Embroidery CD by Smith Street Designs that is being given away FREE with these two specials. Floriani Embroiderers Starter Kit includes the absolute necessity stabilizers every embroidery must start with. 1 roll Heat N Sta Fusible Tearaway, 1 roll Tearaway Medium, 1 roll No-Sho Fusible Mesh, 1 roll Perfect Stick , 1 Roll Heat N Gone PLUS 6 spools of Floriani Embroidery Thread in Basic colors: Red, Black, White, Green, Brown and Green. This IHAN Holiday Special also includes a Greetings! Embroidery CD by Smith Street Designs. I also got one for myself to put on my LapTop....am I weak or what? Thanks for visiting and reading. A quick update on Mr. McSteamy (thanks for all the e-mails with prayers and thoughts and enquiries). He had a MRI on Friday and he has a bulging disc. We are waiting to see a neurosurgeon and we'll go from there. Hope your day is full of moments of joy! Floriani is having a Year End Sell Out Event and I thought everyone who loves thread or does machine embroidery would definitely want to know. I'm telling you there are some incredible deals....I mean really incredible deals. For all of you who don't subscribe to the IHAN Newsletter (sign up is on the right hand side bar) I posted the information in the newsletter on the IHAN blog under it's own page...look up and you'll see tabs for pages and you can click there or HERE. 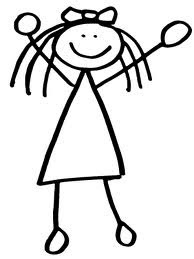 Here is a big hug for all of you who have taken the time to respond to my question, Why do you or don't you Shop at I Have A Notion (IHAN). There has been so much thoughtful feedback...THANK YOU!!! I have already changed so many things. 1. You know have the choice of how to have your order shipped? You can now choose to have your order shipped USPS or Fed Ex. There is a STUFF THE BOX Shipping option? Are you a Smart Shopper? Do you price compare and choose the best price? Did you know IHAN will price match? Yes, we will price match a competitors price when it doesn't mean I lose money. Sometimes other stores get incredible discounts because they buy in enormous quantities...IHAN doesn't do that. All you have to do is click the Contact Us at the top of the IHAN website and request a price match. Please include the link to where you found the price less. 3. Hard time finding what you are looking for at IHAN? I'm still working on an option for changing the categories so people can find what they are looking for faster. Did you know there is a SEARCH WINDOW on the bottom left of the IHAN website? You can always search a word or product there. I did offer a Gift for leaving a comment. After reading all of them...I was totally bowled over so I have added 2 additional Gifts. Gift #1 contains the same items as before but I've added more! All three winners need to send an e-mail to IHaveANotion@yahoo.com with our full names and address. Before I close....I just so happened to see Patsy Thompson's blog post today....if you haven't seen it yet...Click Here! I'm telling you Patsy is always creating beauty. Ok...so I'm catering to the Ozzies by posting so late (late for US...early for OZ :)....sorry...can't help it...McSteamy is still having issues and I couldn't get to my bot sooner. Today's post includes a fun giveaway thanks to Jen Eskridge of Reanna Lily Designs, creator of the Seamingly Accurate Seam Guide. This is Jen's booth at Quilt Market in Houston....Yes...she's the same gal who wrote the book, Deploy That Fabric....good memory! Great guide isn't it? I know...you want one don't ya? I don't blame you one bit...and to have a chance to receive one gratis....just be a IHAN blog follower and leave a comment on this post telling me why you want one...it's that easy. I'll let the random number generator choose two winners on Sunday, December 18, 2011. 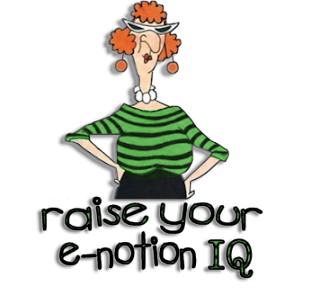 Well...that is if I remember...I sometimes have a problem with that part....so I've had a doorbell installed on my forehead...ya'all can just push on the door bell and I'll be reminded of who I am and what in the heck I'm doin'!!!! Before I close I thought I'd share a photo with you that I took this morning. Ding Dong- Someone say something!! Joanne.....Congratulations Joanne! Please send me your address and I'll get your book in the mail to you. 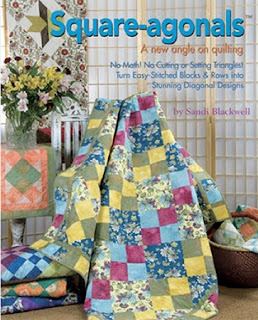 Worse yet....no one said anything about Sandi Blackwell's book, Square-agonals or Sandi's patterns. PinsandNeedles wins Sandi's book, Square-agonals. Lee and Moe West get some wonderful patterns from Sandi Blackwell. Congratulations all!!! Now to get your gifts you have to e-mail me with your full name and address and make it soon before I forget to do that too!!! There were some monkeys in a holiday concert...some homework....meals. A non-ambulatory Mr. McSteamy to cart to the monkey's holiday concert. Since I'm so friendly....I'll forgive you for not reminding me if you'll forgive me for forgetting...hows that? Now we're even! Greetings fellow earthlings....I don't feel like I've been on earth for several days...but I think I might be back. Mr. McSteamy has been out of steam all together. A sciatic nerve problem apparently has knocked him from 6'6" vertical to 6"6" horizontal. Not a pretty picture...but he is on the mend so thanks to everyone who send notes of care and concern. While I'm on the topic of Greetings! You have to check out these Greetings! No, your eyes are not failing you....that is fabric and thread....cool aren't they? I think this is my favorite....but the jury is still out! Bet you're wondering if I have improved my free motion quilting skills so much so that I can just whip these out in a matter of a few minutes ay? Nope!! I wish it were true...but it isn't....these cards were made using a Smith Street Designs software, Greetings! I like the Thanks and the Congrats too....I've just discovered these and I'm telling ya they sure are fun. Back to holding down the fort and dispensing medications....moist heating pads and fending off the rest of the dragons! I hope all of you know Michelle from The Quilting Gallery....if you don't...now is as good of a time as any to become familiar with Michelle and The Quilting Gallery! She has put together this wonderful event as well as so many other great events...visit The Quilting Gallery and check out all the wonderful events and resources she offers. 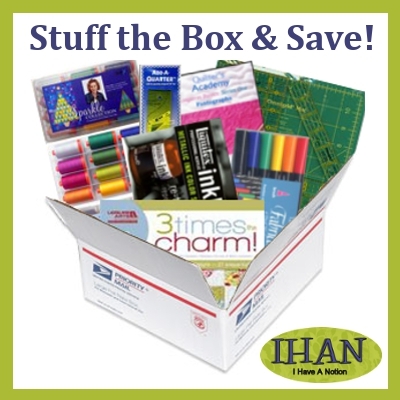 IHAN is participating....who could resist a fun Blog Hop that includes Giveaways especially during the Holidays....Not me!! There are well over 200 participants from 20 countries participating. For all of you have never been to the IHAN Blog...WELCOME :) My name is Kelly Jackson and I am the author of this Blog as well as the owner of I Have A Notion (aka IHAN) a web-based Quilting, Machine Embroidery and Needle Art Supply shop. The focus of my blog is reviewing quilting, machine embroidery, and needle art notions, books and patterns. If that sounds interesting to you, feel free to click the "follow" button on the sidebar and you'll be able to keep up with the adventures of the IHAN clan! We are giving away this Happy Holidays Panel, Wintersong by Cheryl Haynes of Prarie Grove Peddler for Benartex, and the embellishment kit that goes along with the panel. The Wintersong Embellishment Kit is by Hillcreek Mills and includes instructions, linen thread to embellish the Wintersong panel, hand dyed buttons, beads and beautiful bells. I can't thank you enough for visiting and I wish everyone, everywhere joy, gratitude and health. Why Shop at I Have A Notion (IHAN)?